California Style Eggs Benedict - Frugal Mom Eh! Mother’s Day is coming up and personally I am looking forward to the thought of a nice brunch, maybe even a brunch in bed if I’m allowed to sleep in. (A girl can dream, right?) Personally I am hoping my husband sees this California Style Eggs Benedict recipe and prepares it for me for Mother’s Day Brunch! Just thinking about it brings me back to my own childhood and helping my dad prepare a hot homemade breakfast for my mom to enjoy in bed. It usually included freshly squeezed orange juice, scrambled eggs, bacon and toast with a hot coffee all carried into my parents room on a white wicker tray. Delicious. There is seriously nothing like freshly cooked Canadian Grade A eggs for brunch. They are filling, full of protein and essential nutrients and they are just plain old delicious. Mom’s can feel good when cooking with Canada Grade A eggs knowing they come from Canadian farms known for their quality, & freshness. Canadian egg farmers are proud of what they have to offer and that includes eggs farmed in a variety of ways to suit your lifestyle from conventional, enriched, free run, free range and organic. It’s good to know though that no matter how the egg has been farmed, all variety of eggs in Canada come from hens that are not given hormones or steroids. This year I have a recipe perfect for Mother’s Day. The presentation is gorgeous. The taste is complex and amazing. It could seriously pass for good restaurant food prepared by an actual chef. Yet it is seriously easy enough for anyone to cook. This is good news for the Dad’s who are maybe not so handy in the kitchen or for teens and older children who want to prepare the perfect breakfast for mom! Hollandaise sauce is pretty difficult to master so I went ahead and figured out the most foolproof way to make it. Following my directions there is no guesswork about heat temperatures or whisking for 10 minutes… its easy and delicious. The other good news is that this recipes easily makes enough Hollandaise sauce for 4 complete servings so your whole family can enjoy this recipe that really makes Canadian eggs shine! My all time favourite egg recipe is Eggs Florentine. that California recipe looks very good. I love avocado. Egg sandwiches on english muffins with bacon and cheese are our favourite egg recipe! Our home made version of the ‘mcmuffin’. Our favorite mothers day recipe that uses eggs is a middle eastern cake. Its called Basbousa, its a semolina cake that has coconut in it! So yummy! YUMMY!!! Do you have a recipe? My MIL used to make this and put an almond on top of each square. Unfortunately she passed away last year and never gave me the recipe. Our favorite jitters day dish is quiche..we always do a brunch! Honestly I love anything made with eggs and that recipe you shared sounds delicious but I would love to wake up to French Toast made with love from my hubby and kids. My mom loves this asian egg custard dessert. It is kind of like a creme brulee but mines the sugar the top. Also, it is a lot smoother in texture and less sweet! My favourite Mother’s Day recipe using egg is an omelette – with added ingredients, such as peppers, bacon etc. I love the sound of that recipe you have shared. Will try making that. My fav is french toast! My favourite is Eggs Benedict with peameal bacon and lots of Hollandaise sauce. I love scrambled eggs and egg sandwiches! I love everything with eggs. Zucchini omelletes are the best! I have a baked French toast with apples and cinnamon recipe that I love. Egg baskets! Ham in each section of a muffin tin, crack in an egg, parsley, s&p on top, 1 tbsp. of cream, topped with grated cheese and bake in the oven! My fav. mother’s day eggs recipe is poached eggs-because they are my mom’s fav. I love old fashion french toast – thank you very much! My fave mother’s day egg recipe is french toast with strawberries. My favourite recipe is fried eggs, sunny side up, plus bacon bits. My favourite dish for Mother’s Day are homemade omelettes with ham, mushrooms, spinach, green onions and sharp cheddar grated on top. I make a bacon and cheese omelette using 3 different cheeses…The Family goes nuts for them! Up until now I served my mom eggs rancheros on her special day. Eggs Bnedict a la frugal mom looks pretty sweet. May give that a shot this time around. I love sunny side up eggs. My go to egg recipe on Mother’s day is a Frittata with cheese, ham, and peppers. My favourite is Eggs Benedict with a side order of ham! Ham and Cheese Quiche is my favorite recipe for mothers day. I like to make a spinach and mushroom omelet. We used to make my mom breakfast on mothers day, she loves poached eggs the best! My mom loves her Country Style Scramble! My favourite is French toast with fresh strawberries and of course maple syrup. we love waffles but in a restaurant i love to order eggs benedict! I love crepes and omelettes. I like scrambed eggs for Mothers day. My favourite is poached eggs on wholewheat toast. We love to have banana bread with our brunch on Mother’s Day! There is nothing better than a veggie stuffed egg omelette! YUM! I don’t have a favorite Mother’s Day recipe using eggs but my mom loves any type of omelet so I’ll say omelets. I love poached eggs and bacon. With toast, and lots of bacon. French toast is my favourite Mother’s Day recipe which uses eggs. Love to make eggs benedict with pemeal bacon for Mother’s Day. It is a treat we don’t have all that often. My favorite Mother’s day eggs are scrambled with toast and jam and bacon. A good cup of hot tea finishes the feast. Omelette is my favourite with lots of everything in it! crepes with berries and whip cream is a favourite! Quiche with mushrooms, onions and cheese. I like a spinach and feta omelette. My favorite egg recipe has always been eggs benedict. The california recipe looks delicious. I also like using salmon instead of back bacon. Eggs Benny!! but I also just love a good scrambled egg with loads of green onions and salsa. Yum!! 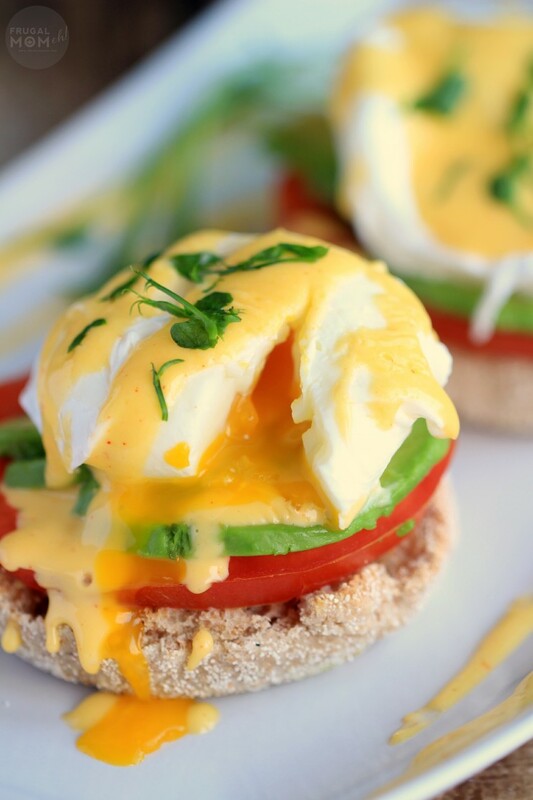 Eggs Benny – classic for sure! My ma likes the spicy foods ~ huevos rancheros for her every time! I love devilled eggs and Eggs Benny. My favourite egg dish is a broccoli and cheese quiche. Egg casserole with everything, I like that it gets all cooked in the oven and one dish, no mess or a bread pudding!! A nice egg and cheese sandwich is delicious for brunch. I love to make quiche! I like to make the Christmas morning wife save recipe. Then this Mom can relax on Mother’s day and the kids can just pop it in the oven. I love poached eggs with english muffins, butter and maple-glazed ham with a side of fresh fruit! Easy, delicious Mother’s Day breakfast. definitely eggs benny… mmm hollandaise sauce! I like Make Ahead Eggs Benny Casserole, that way the only thing you do in the mooring is bake! Definitely California Style, love avocado. cinamon roll egg breakfast bake its my own creation but its good you break up cinamon bun dough and a wee bit of vanilla mixed with eggs pour over cinamon buns its good i add a wee bit of maple syrup. Poached eggs on toast! Yum! Yum! A quiche made with bacon and asparagus. Mmmmm, good stuff! We love a good tomato, ham and green pepper omelette. For Mother’s Day, quiche is always a favorite! I love eggs benedict! Adding avocado is genius! breakfast in bed with scrambled eggs! I like eggs benedict, too bad I’m not good at making it! I love my eggs easy over. Eggs different ways is a family favorite. quiche is always a favourite around here. My favorite is reg eggs benedict! I love Creme Brulee. That sounds just about perfect for Mother’s Day. The classic recipe is my favourite — eggs and bacon. My favourite Mother’s Day recipe using eggs is French Toast with pure maple syrup!! French Toast with crushed strawberries is a favorite of mine and I like it on Mother’s day. I love an omelette with ham and mushrooms! 4 eggs, 1/2 cup of half and half, onions, cup of broccoli, salt and pepper. Omlettes or french toast for mothers day is the best! Eggs Benny! This recipe looks like the one I use. Looks delish! Thank you for sharing the above recipe; I will have to give it a try. My favourite Mother’s Day recipe with eggs is a Frittata with potatoes, asparagus, tomatoes, onions, spinach and very sharp cheddar. Its really flavourful and hearty; also makes a great dinner. For mothers day I love French Toast with maple syrup and bacon! I love cheese and spinach omelets. My mom always makes this cheesy, onion omelette and boy is it delicious! Just regular scrambled eggs with cheddar, rosemary, and chopped tomatoes are amazing. Even better with hollandaise on top. I love to make a crustless spinach & feta quiche along with a leafy salad! This way I can make ahead for when everyone is coming over! My favorite Mother’s Day recipe which uses eggs is waffles. Top them with ice cream, strawberries, and chocolate sauce of course!!! Scrambled eggs, bacon and waffles..yum! My favourite mothers day recipe would be my family making me breakfast, Eggs sunny side up, bacon, hashbrowns & toast would make me a happy mommy! 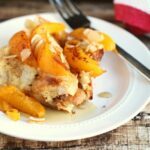 My favorite Mothers Day recipe that uses eggs is cinnamon french toast loaf. Love eggs benedict. The California style recipe will be tried son! Eggs benedict is part of our lives. Poached eggs remind me of my Mother because that is what she always liked – and I would add some grated cheese on top and melt it. 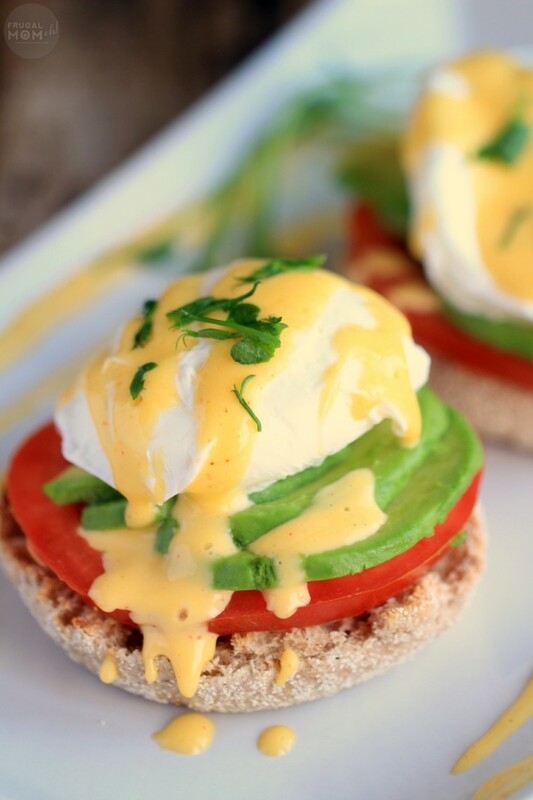 This California Style Eggs Benedict Recipe would probably hit the top of my list – I love eggs, hollandaise and avocado. Salsa and cheese omelette is the favourite in our family. My favourite Mothers Day dish is a cheese omelet with hash browns and diced mango. Baked eggs in shredded hasbrown nest with cheese & bacon! scrambled egg muffin cups yum! Eggs Benedict with back bacon, poached eggs and Hollandaise. A vegetable omelette, and whole grain pancakes! My husband just made us eggs benedict with avocado this morning! He makes lots of great breakfasts with eggs. My favourite is just fried eggs with bacon, sausage and chunky hash browns though. Classic breakfast. That’s probably what he’ll make me for mother’s day. I LOVE a good Ham and Cheese omelet! My favourite is Ham, Cheese, tomato, mushroom omelette. Yummy! My favorite is Eggs Benedict! My famous Cheese and Bacon Omlettes. 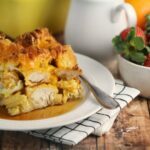 I make a wicked french toast casserole with homemade strawberry strudel. My daughter makes the best scrambled eggs – it’s the only time I eat them that way! Just good old scrambled eggs with cheese melted on top. I love a vegetarian omelette. My mom loves vanilla cupcakes! We love omelettes with bacon, green onions and cheese. I love making spinach quiche. A simple fried egg is my favourite! I make a mean frittata – eggs, cheese, sausage, onion and general yumminess. I really like my mom’s mushroom omelettes! Nothing beats a Spanish omelet. I like just plain cheese omelettes and toast. Would love to win this great contest from a frugal Canadian mom. Scrambled is the best. I add salt, pepper, minced garlic, and dill. Mmm. Spinach, mushroom and red pepper omlette with a touch of blue cheese for Mother’s Day please. Definitely it is eggs benedict with lots of sauce. 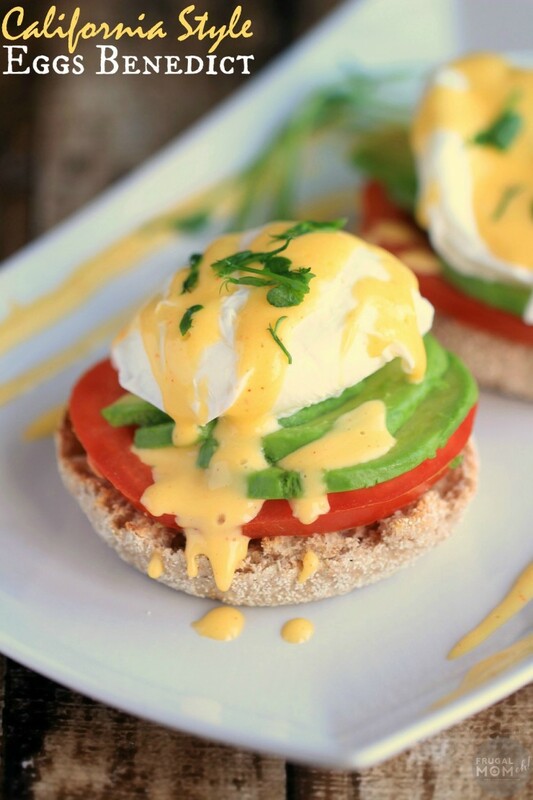 I had eggs benedict this summer at a nice restaurant in Port Stanley and I loved them.I am excited to have found your awesome recipe and I also love avocados so that’s an added bonus! Thank you.